Jeremy Corbyn has not ruled out backing the Brexit deal Theresa May secures with Brussels, as he rounded off a Labour conference dominated by Europe. The Labour leader called on the prime minister to ditch her Chequers blueprint for Britain’s European exit in favour of a “sensible” deal that includes a customs union with the EU to prevent a hard border in Northern Ireland and protects workers’ rights and environmental standards. If not, Mr Corbyn said Mrs May needed to “make way for a party that can”. 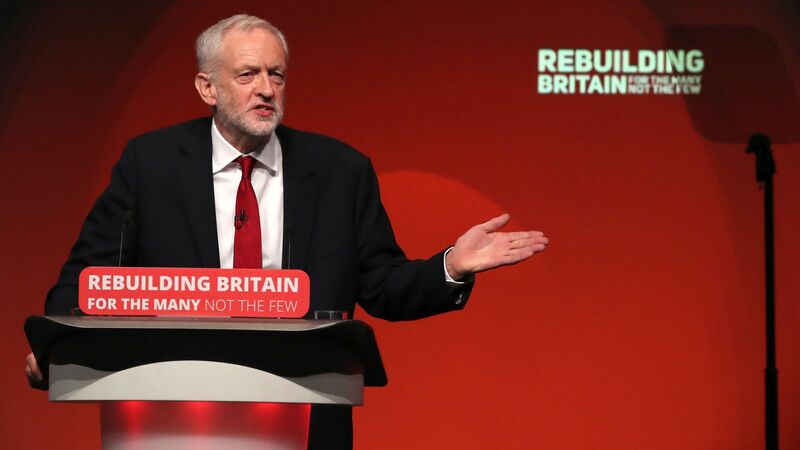 He told Labour’s annual gathering in Liverpool that a “no-deal” Brexit would be a “national disaster” and his preference in the first instance was for a general election. “Failing that, all options are on the table,” he said. A senior Labour source insisted the party were sticking to their six tests for a Brexit deal, but said Mr Corbyn was “reaching out to create political space” for the PM to agree a Brexit deal. It comes after a conference dominated by debate on Labour’s “constructive ambiguity” on Brexit, with the party not ruling out support for a second referendum but also pledging to respect the 2016 Leave vote. In an hour-long speech to a packed hall, Mr Corbyn pledged a “green jobs revolution” and an expansion of free childcare. He also denounced “greed-is-good capitalism”, which he said was holding the UK economy back. “People in this country know – they showed that in June last year [at the general election] – that the old way of running things isn’t working anymore,” he said. He accused the “political and corporate establishment” of propping up the financial system which caused millions of people misery in the wake of the 2008 financial crash. :: Recognise a Palestinian state upon entering Downing Street.